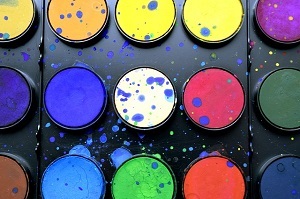 Bring your preschooler for an art-tastic hour with Ms. Chris and be sure to wear clothes you do not mind getting messy. This is a free program for ages 3 - 5. Due to space limitations, tickets will be available at the Children's Information Desk 15 minutes prior. You may only pick up tickets for your own children.